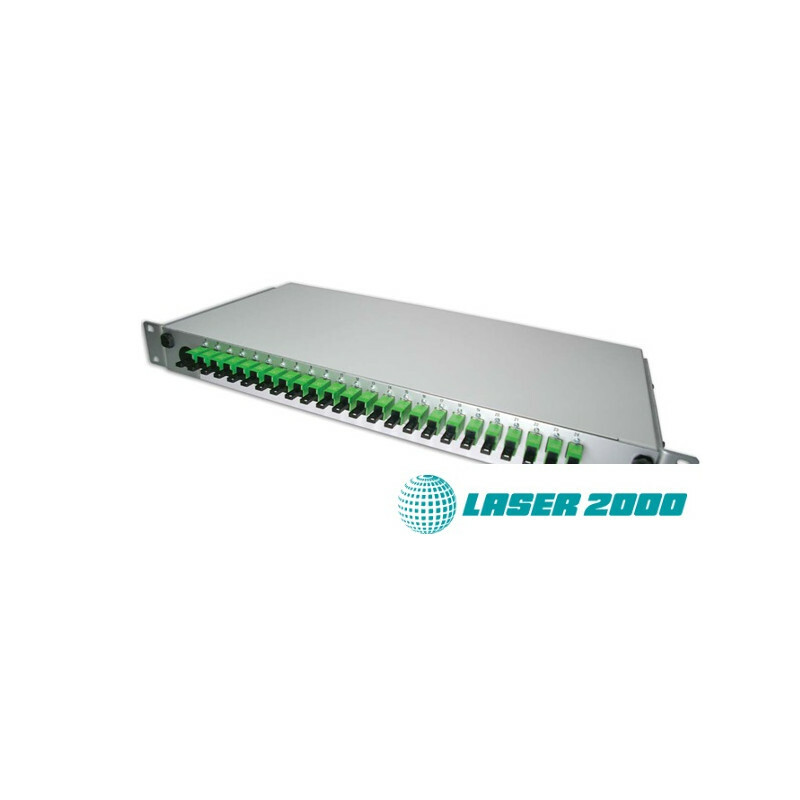 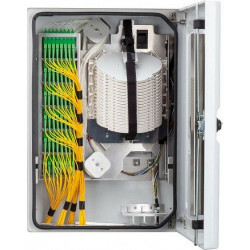 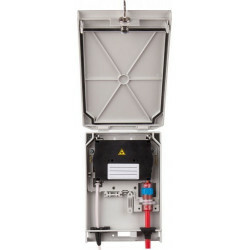 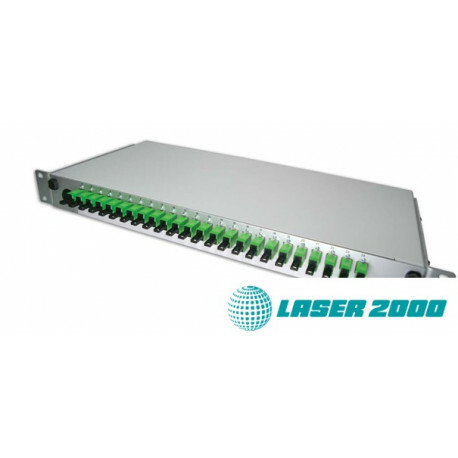 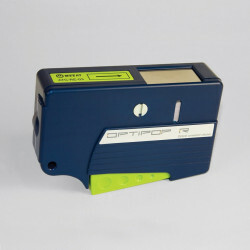 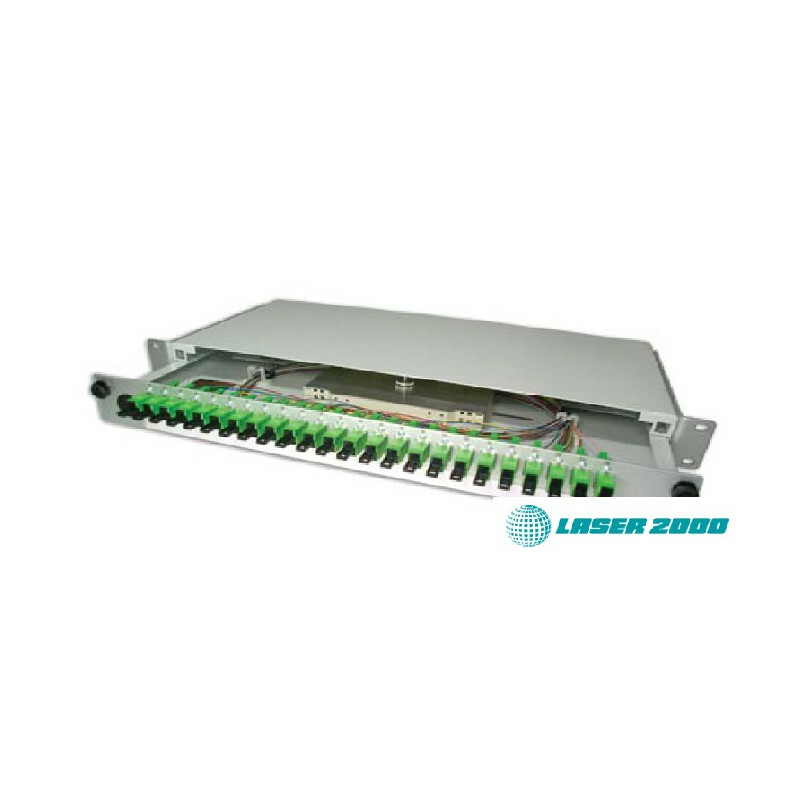 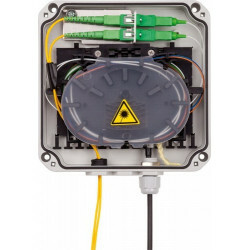 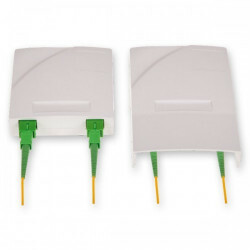 The Laser 2000 19"/1HE Splice Box is a 2-part Splice- and Patchbox to accommodate up to 48 fibers on 1HE, which also for Its use as a distributor for optical coupler and WDM modules has been developed. 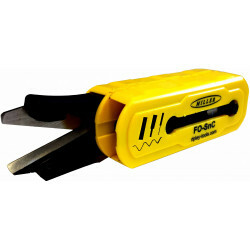 A lock protects against unauthorized access. 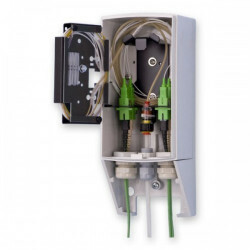 In the rear cable inputs left and right, the optical cables can be introduced variably and trapped with cable ties or metric screwed connections. 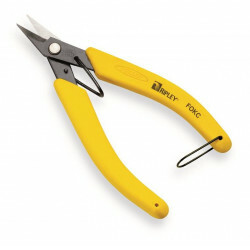 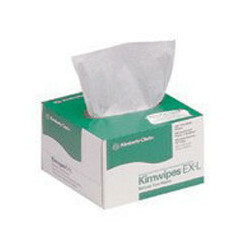 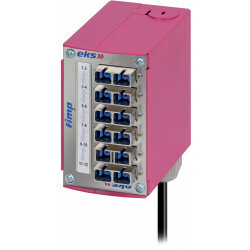 The box ensures safe installation and offers optimal access to the pigtails in case of service. 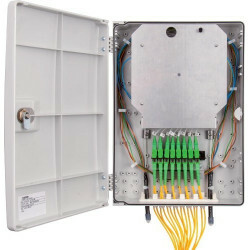 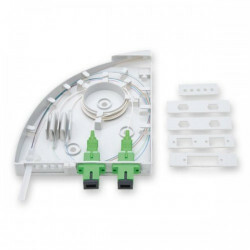 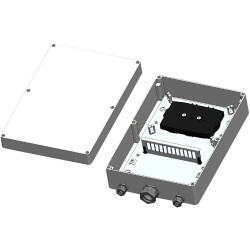 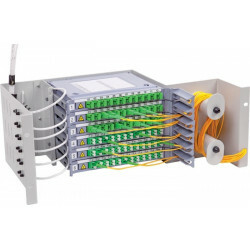 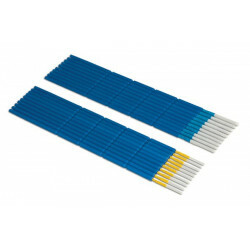 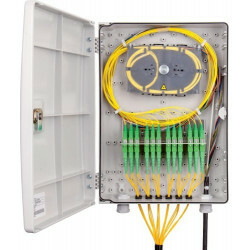 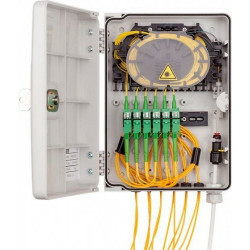 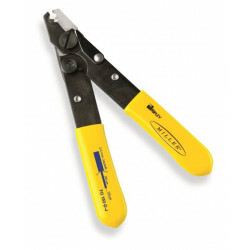 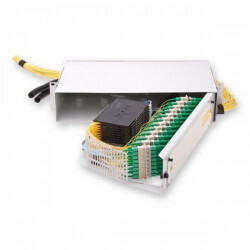 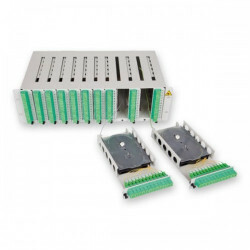 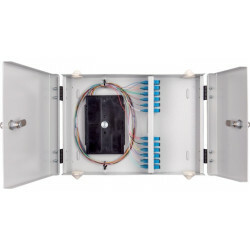 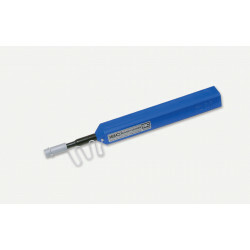 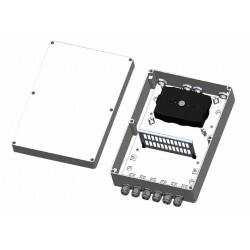 - 19”/1HE Splice and patch box for holding up to 48 fibers or couplers/WDM modules. 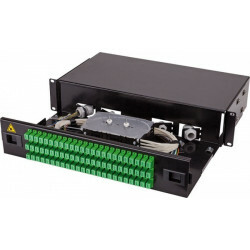 - front panel for LSH/E-2000, SC, ST and LC simplex and duplex Connector (other plugs on request).